Using multiple approaches helps us teach all learners to high standards. 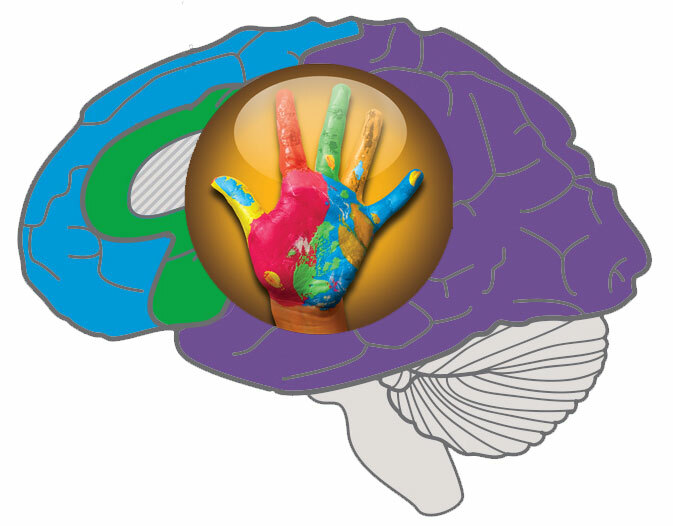 The Universal Design for Learning (UDL) model, developed by the Center for Applied Special Technology (CAST), can help you design teaching and learning in your classroom to accommodate differences and improve learning for all students. Wixie can help you implement a UDL approach in all three domains. This domain deals with the recognition network and focuses on what a student learns and how they collect and categorize information. As you design instruction and student learning opportunities, support a range of learners by presenting ideas and information to students in different ways. Wixie provides tools that make it easy for teachers to develop customized materials and activities that provide curriculum content to students through text, pictures, and voice narration. When information is shared through multiple modalities (text, visual, and audio) it provides students with a range of opportunities to comprehend and make sense of the information presented to them. You can further engage learners (affective) by making them responsible for helping to develop these multimedia resources! Wixie includes a curriculum library with over 1000 templates that combine pictures, text, and audio. Teachers can customize these activities to meet the specific needs of their students. For example, they can record instructions students can listen to in addition to, or instead of, reading them. 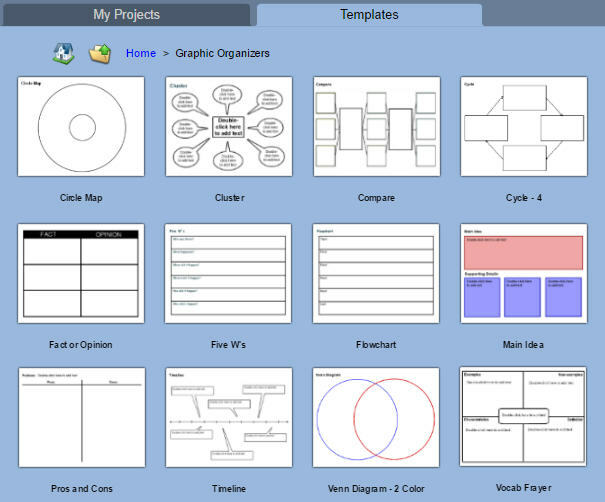 Wixie includes a range of graphic organizing templates you can use with students to help them learn to visually organize and process information. No matter how differently they learn, asking students to show ideas and the relationships between them builds both comprehension and thinking skills. This domain deals with the strategic network and focuses on how a student learns; planning and performing tasks. As you design instruction and student learning opportunities, support a range of learners by asking students to show their learning in a variety of ways. This is the area where Wixie really shines. Students can use Wixie to click-and-drag to demonstrate content knowledge, write stories to entertain, draw pictures to inform, or record their voice to persuade. Help students recognize their skills and preferences as learners by asking them to create diagrams, comics, book reviews, or video-like tutorials to demonstrate their learning. Wixie includes a suite of tools teachers can use to plan, implement, and evaluate student work; differentiating tasks and feedback to support for the unique needs of their learners. This domain deals with the affective network and focuses on what a student wants to learn and how they stay engaged and motivated. As you design instruction and student learning opportunities, support a range of learners by providing choice and asking students to do work that is relevant to their lives and to the world beyond the classroom. This is less about what Wixie does than how you use it! Every learner is unique. Wixie’s many tools and options provide a fun way for students to demonstrate their creativity and explore and share their passions, resulting in increased motivation and engagement. If you are asking students to create a single product in Wixie, use a tic-tac-toe style choice board with options they can choose for sharing content. As they grow in their experience and skills, give students the responsibility to choose how they will use Wixie to share their learning. If they love art, encourage them to use the paint tools to create diagrams; if they love drama, encourage them to record their voice. You can also give students the autonomy to choose the format they will use to share their work. For example, students can export their work in Wixie as printed posters, brochures, or comics and share online as slideshow presentations. Every learner is unique. Wixie’s many tools and options provide a fun way for students to demonstrate their creativity and explore and share their passions, resulting in increased motivation and engagement. Remember, students with a range of learning needs like to express their ideas creatively, do things in non-traditional ways, use the computer, and demonstrate their abilities. Using Wixie provides your classroom with a single powerful tool you and your students can use in different ways to explore information, express themselves, and create work that inspires them.